Baltimore’s Gilbert & Sullivan Company. 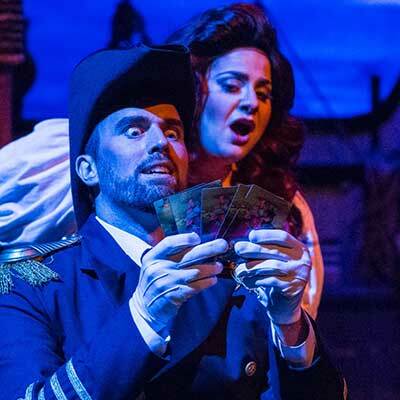 Located in Roland Park, the Young Victorian Theatre Company presents professional caliber musical theatre productions every summer for all ages to enjoy Gilbert & Sullivan's timeless works. 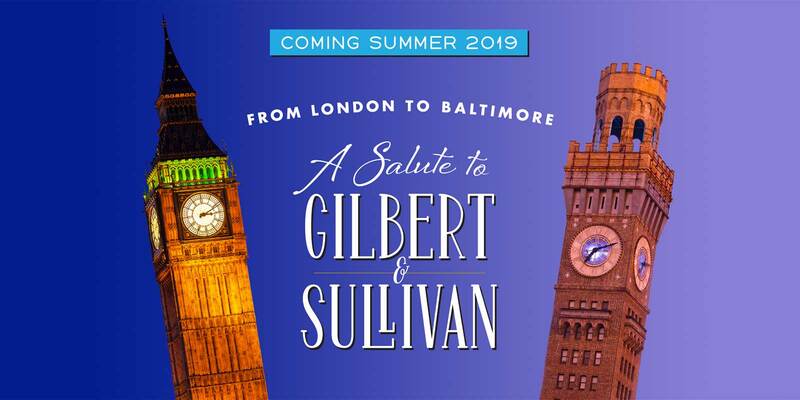 As we ramp up to our big 50th anniversary next year, please join us for three special performances this summer featuring the greatest music of Gilbert & Sullivan... and a few surprises! All of your favorite Young Vic performers will be onstage along with many of our talented alumni. This event will be a rare treat for every G&S fan. Sign up here to get our occasional emails about this summer's show. And follow us on Facebook to keep up with company news and special offers. Shucks. The box office is closed. But get ready, tickets sales begin on May 1, 2019! Young Vic is Baltimore's Gilbert & Sullivan company. We began in 1971 as an enthusiastic group of high school students and have evolved into an acclaimed and full-fledged performing arts organization today. Our professional-caliber productions attract a wide range of promising young talent and accomplished performers. 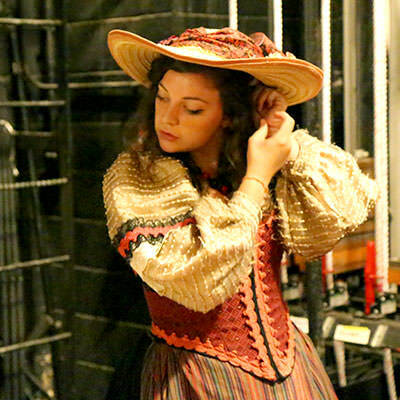 Members of our casts and orchestra have performed on local, national and international stages. Now in our fifth decade, Young Vic's fiscal responsibility, stable leadership and artistic excellence makes it Baltimore's longest tenured musical theatre and is well supported by the community. 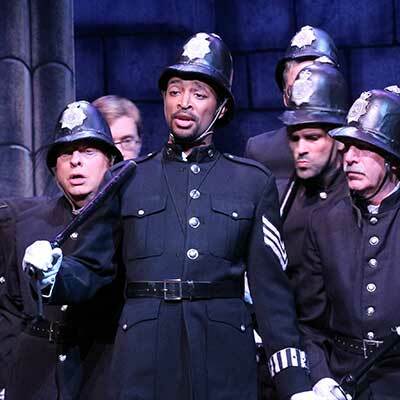 Our mission is to expose Baltimore’s diverse community to distinctive and entertaining musical theatre; foster classically trained and talented artists; and attract new and young audiences who will enjoy the popular and timeless works of Gilbert & Sullivan. Please show your support and donate as a patron or contact us to become a volunteer. Young Vic performances are on the campus of Gilman School, 5407 Roland Avenue in Baltimore, Maryland. The auditorium aisles are stepped, so if you need assistance, please see an usher. Or please call the box office so we can help you choose the most appropriate seating location. Access from the parking lot to the box office is accessible for handicapped patrons. Inside the theatre, there are a limited number of wheelchair spots available for each performance. Some partially handicapped patrons may be more comfortable sitting in a seat in the last two or three rows. Sight lines and acoustics are excellent throughout the auditorium. Please call the box office so we can help you choose an appropriate seating location. The auditorium is air conditioned and while we try to ensure that everyone is comfortable, some patrons may want to bring a light sweater or jacket. Young Vic performances are great fun for the whole family. And this year we have a special Family Night on Thursday July 19. The show starts 30 minutes earlier at 7:30 and tickets are available at a reduced price. Buy tickets at the Box Office. Please note that group rates are not available for this performance. All performances are enhanced with surtitles of the lyrics projected above the auditorium stage. It's a lot of fun staging a theatrical production. And a lot of work too! We always need volunteers for ushering, stage crew, social media and more. Interested? Reach us by using our contact form. We periodically send email updates with news about our shows, special events and discounts. We won't bombard your inbox and we will not share your email. Sign up here. 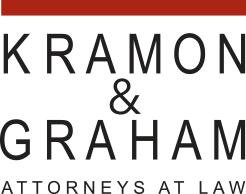 For all press inquiries, please use our contact form and we will promptly respond to your request. We have announced our 2018 auditions schedule for The Mikado with complete details and signup on our auditions page. And for future auditions announcements join our auditions email list. It's a lot of fun staging a theatrical production. And a lot of work too! We always need volunteers for ushering, stage crew, social media and more.